Enhance Your Property With A Stunning New Driveway from Van Midde and Son. Many people consider their driveway to simply be the place where they park their car. They often overlook the fact that the driveway is one of the most prominent and immediately noticeable things about most homes. After all, visitors to your home usually pull up and park in the driveway. A shoddy, unattractively designed driveway can really detract from the landscaping of your home; an elegantly designed one, though, can truly enhance it and be a natural extension of your overall theme and style. Driveways are often treated as utilitarian in nature and often, little regard is given as to their appearance. Asphalt or black top driveways are prime examples of this; they simply do not add any real style to a home’s front yard. Concrete and interlocking pavers, however, can bring your landscaping to the next level. As aesthetically pleasing as they are durable, using these kinds of materials in your driveway design can really amp up the quality of your landscaping. Imagine pulling up into your driveway after a hard day’s work; instead of being presented with a drab, unattractive and dully designed driveway, you drive your car onto a work of art. This would surely set the stage for a more pleasant evening at home, and can be a very welcoming sight. Whether it is designed out of concrete pavers or interlocking pavers, your tastefully installed driveway can make a real difference in your mood and how it feels to arrive at home. At Van Midde and Son Concrete, we understand how satisfying it can be to take every inch of your home’s landscaping into consideration. To us, a driveway is more than just a concrete slab to park your vehicle on; it is an extension of your overall style and should be a testament to your good taste and refinement. 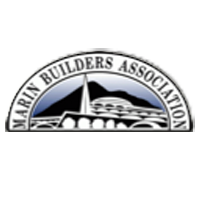 We’ve served Marin and Sonoma Counties for over 50 years; around San Francisco, we are known for our high quality craftsmanship and our careful attention to detail. Many people worry that driveway costs are overly prohibitive or beyond their means. At Van Midde and Son Concrete, we can work with you to make it surprisingly affordable. Also, a new driveway can raise the property value of your home significantly. A well made driveway can pay for itself – and then some. Discover the difference of having a uniquely designed driveway by getting a driveway estimate from Van Midde and Son today. No matter what kind of idea or design you have in mind, we can help you make it a reality. We can assist you in designing an incredible new driveway, whether you choose interlocking pavers or a more traditional concrete design. Let us show you what a dramatic effect a finely made driveway can have on your yard and your overall landscaping. Located in San Rafael, Van Midde and Son Concrete installs concrete driveways in Marin County, Sonoma County and throughout the San Francisco Bay Area.